Home > Publications > Marketing Strategy: Is Your Vision in Focus? 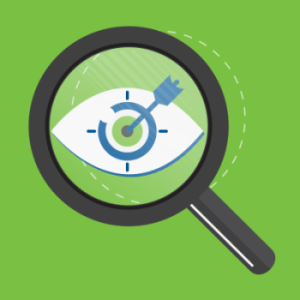 Marketing Strategy: Is Your Vision in Focus? Every business needs focus, and this must be fixed on an area of strength. Around 40% to 50% of business-to-business middle market and enterprise companies have marketing strategies focusing on cost leadership, differentiation or niches. You might ask what Lewis Carroll knows about strategy. It would appear the answer is quite a lot as it was he who rightly tells us “if you don’t know where you are going, any road will get you there”. The first step in developing a marketing strategy is to decide where you are going. Turning now to Michael Porter, the business sage, his book on Competitive Strategy tells us that a company should pursue a road that gives it a competitive advantage within its market. 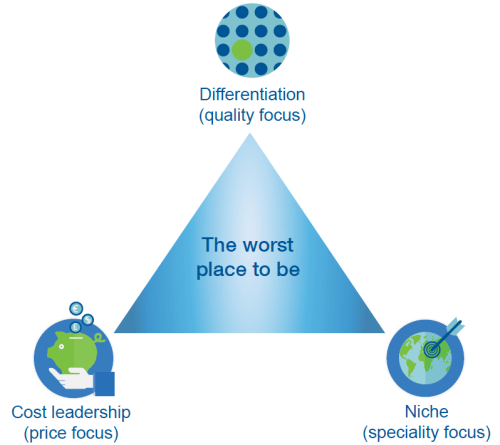 He describes these as generic strategies which could be one of three options: a low cost strategy, a quality or differentiating strategy, or a niche-based strategy focusing on selective market segments. What can be confusing about this advice is that a company seeking a path in cost leadership could also have a very strong brand (i.e. one that is clearly differentiated). A company within a niche may have a strong brand and it may even have a cost leadership position. However, Porter emphasizes the importance of the word focus –obsessively focusing on the one thing that the company does well. Harley-Davidson may be a strong brand but it is a company operating within a very focused niche of the motorcycle market. Ryanair may be a strong brand but it is a company focusing on the low-cost delivery of air travel. Audi is a strong brand and it seeks to differentiate itself through quality by emphasizing its German roots and Vorsprung durch Technik. Think of these three positions as being corners of a triangle. The best strategy is to focus on just one corner of the triangle. The worst place to be is right in the center. Most business-to-business companies operate within vertical markets (industry verticals) where their products have a specific application. Within those markets the company can choose to position itself as a cost leader, a brand of high quality, or a specialist player with a focus. In order to work out what your company does best, you should analyze your strengths and weaknesses against the companies with which you compete. To give you a better idea of how you should conduct this competitive analysis, we have put together a set of questions based on the market and the competition. These questions can be found here: Understand the Marketplace.